It is an easy assumption to make that most basketball players only have a short career at the top of the NBA, and this is part of the justification for the high wages that are involved in the game. Players are looking to maximise their income when they can because they know that injuries, loss of form or off-court behaviour can impact on their ability to feature in the NBA. There are some players that buck the trend though and the 2014/15 season is all set to be the 17th season that Nazr Mohammed plays in the NBA. This is because the player has signed another one year contract with his hometown team, the Chicago Bulls. 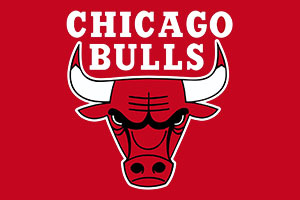 The player has been with the Bulls for the past two seasons so this will be his third year with the team. Given that he was the 29th pick back in 1998, few would have predicted that Mohammed would go on to have such a great career and illustrious career. He was picked by the Utah Jazz but on the same night, he was traded out to the Philadelphia 76ers. His time in Philly ran between 1998 and 2001 and he then spent 2001 to 2004 playing for the Atlanta Hawks. There was then a brief spell with the New York Knicks before playing for the San Antonio Spurs across 2005 and 2006. This wasn’t a lengthy stop-off but it was the place where Nazr managed to pick up an NBA Championship as part of the triumphant 2005 San Antonio Spurs team. Another quick stop off with the Detroit Pistons followed before Nazr was able to put some roots down for a while. He played for the Charlotte Bobcats between 2007 and 2011, making this the longest amount of time he has spent with any one club throughout his career. 2011/12 was spent with the Oklahoma City Thunder and since 2012, Nazr has been with the Bulls. As Nazr said in interviews after the deal was announced, this is a great career. Most players are delighted to see 10 years at the top of the sport so to push beyond 15 years at the top is an indicator of a player that has talent, fitness and skills. Even before his NBA years, Nazr also picked up two NCAA Championships (in 1996 and 1998) so he is honing in on 20 years of success in this great sport. In recent years, even though another NBA Championship has eluded Nazr, he has come close at times. When he played with the Bobcats, the team made the 2012 NBA Finals. Sadly, they were to lose out to the Heat who were on fire, clinching a 4-1 victory. 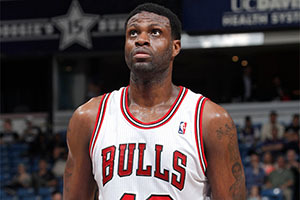 Weeks later, Nazr made his made to the Bulls and in May of 2013, he was the centre of controversy in the Eastern Conference Semi-finals when an altercation with LeBron James caught the headlines. James committed the first foul but with an act of retaliation; Mohammed shoved LeBron and was then ejected from the game. It is not as though this should be the sort of action that is associated with the player though and Bulls fans are delighted to see the player back in the team for the next season. Whether this turns out to be the final NBA season for Nazr Mohammed remains to be seen but there is certainly life in the player. Not many people are tipping the Bulls for end of season success this campaign but Nazr will be doing his best to get one more shot at a Championship.